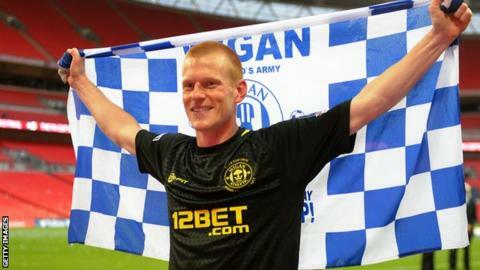 Wigan Athletic manager Uwe Rosler wants midfielder Ben Watson, who scored the winning goal in last season's FA Cup final, to sign a new contract. The 28-year-old netted a stoppage-time header in the at Wembley in May. Rosler told BBC Radio Manchester: "He's a player I really like in terms of his professionalism and his ability to dictate games. He's big in my plans. "I've told him I want to open discussions over a contract extension." The German, who added: "That shows you how much I rate the player already after such a short time." Watson joined Wigan from Crystal Palace in January 2009 and has played 113 times for the Latics, scoring 17 goals. Meanwhile, Rosler also confirmed striker Nouha Dicko has been recalled from his loan spell at Rotherham United. The 21-year-old scored six goals in his last five appearances for the Millers, including two in Saturday's 3-3 draw with Wolves. Wigan are 12th in the Championship following a on Saturday and have won both league games since Rosler took control of the Latics.